St John's Wood Area Guide - What makes St John's Wood so great? Where do St John's Wood locals go? The best Italian Gelato in NW8! Share your favourite place to go to in St John's Wood. "It was in Abbey Road Studios that the Beatles recorded their material. The zebra crossing outside the building is now Grade II listed, after being immortalised on the front of their 'Abbey Road' album." 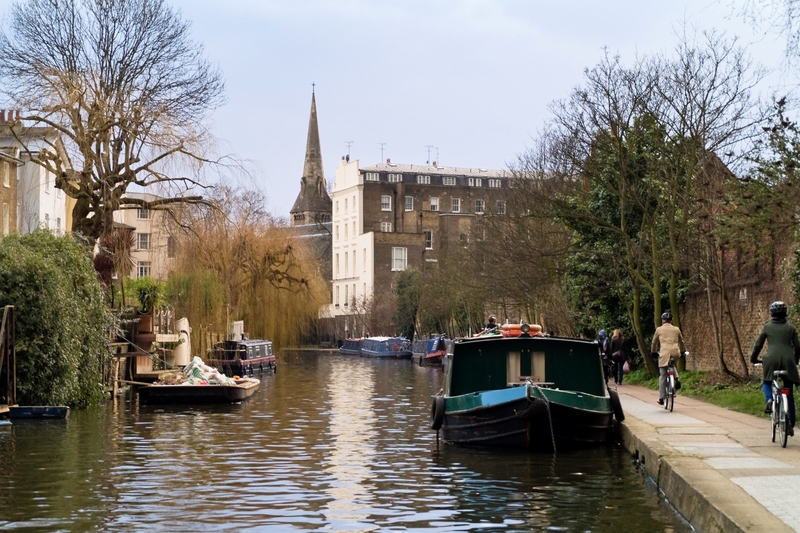 The canals bring a country feel to this central part of London round Regent's Park. Always worth the walk to the top! London's skyline beautifully framed by Primrose Hill and London Zoo. St John's Wood High Street is full of niche boutiques where money can easily be left behind. You can recreate the Beatles album cover on the famous Abbey Road crossing, and as for the down time, nothing beats a nice long walk around Regent's Park. The Waterway pub is my personal favourite - a great place to sit by the canal and enjoy the summer sunshine whilst having lunch, watching the boats go by. St John's Wood is beautiful. What do you think of St John's Wood? The Olé Kids curriculum was developed through years of observing children and what they like doing at different stages cognitively, emotionally and physically. They picked out the best elements of children's classes and coupled it with our knowledge, research, tons of love and respect for children and our endless passion for creating a Spanish speaking community. What are your favourite things about St John's Wood? Find out how much your flat or house is worth om St John's Wood. Feedback about living in St John's Wood has been submitted directly by the public and may not neccessarily reflect the views of Foxtons. The description of St John's Wood was modified from Wikipedia and is available under the Creative Commons licence. Land Registry data is Crown copyright. All the views and contributions contained within Foxtons Local Life are those of the contributors. All content is assessed before publishing for taste, however free opinion is encouraged. Foxtons accept no payment or sponsorship for content that is posted about St John's Wood.